Believe it or not, Motorola hasn't changed much since it got acquired by Chinese giant Lenovo. It is still launching phones of all categories and is still selling them at reasonable prices. 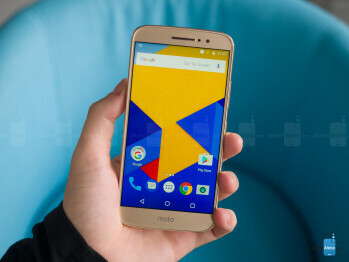 For instance, the Moto Z was a killer high-end when it launched, while the Moto G4, the Moto G4 Play, and the Moto G4 Plus are all good examples of how a budget smartphone should be made. The Moto M is positioned somewhere between these two tiers. 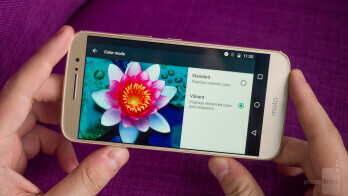 As an Android mid-range model, it checks all the right boxes – it has good specs, great design, and an affordable price. 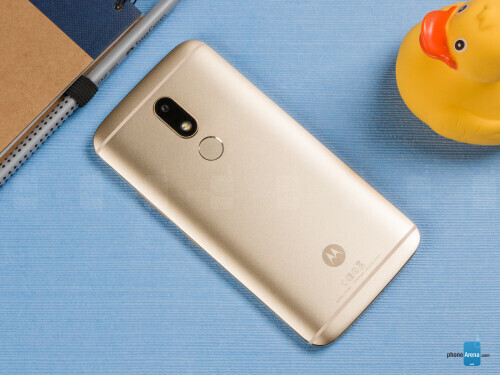 On paper, this sounds like а winning combination, but in real life, is the Moto M worth considering at all? 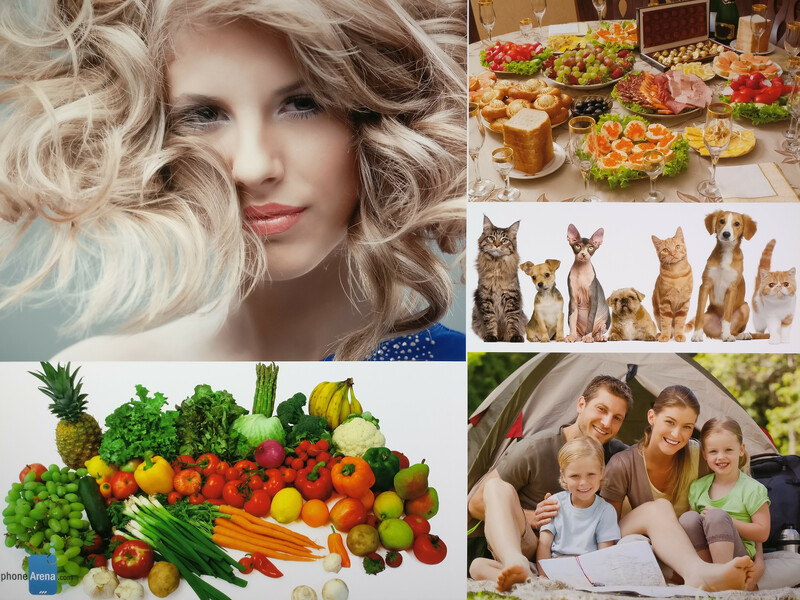 Armed with a decent amount of curiosity, we took it upon ourselves to find out! It may look a bit generic in pictures, but in actuality, the Motorola M is a sleek, well-built device that feels quite pleasant in the hand. It's a solid metal-made handset that's not much larger than the Moto Z Play Droid, but is arguably more stylish thanks to the minimalistic and streamlined design. 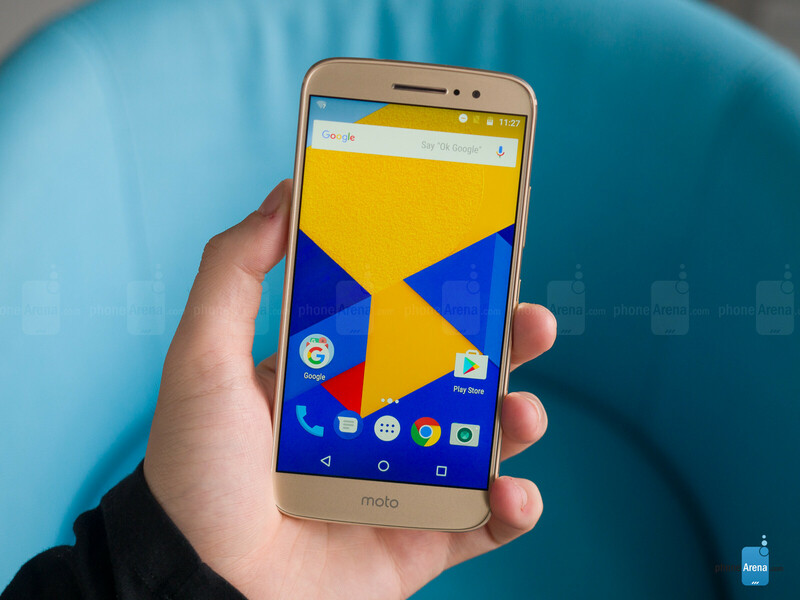 Size-wise, the Moto M is relatively compact for a 5.5-incher. It's no bigger than the Moto G4 or the OnePlus 3/3T, for example. With a depth of 0.31” (7.85mm), the handset is not very thin, but we have no qualms with how this one feels in hand. It's not a heavyweight trooper, either – it tips the scales at only 5.75 oz (163gr), which is lighter than the average weight of a 5.5-inch phone. There are no navigation buttons at the front, only a Moto logo at the bottom will be reminding you what _phone_ you're handling. In the meantime, the back of the phone doesn't even feature the signature Moto dimple – there's a circular fingerprint scanner at the rear instead. The “less is more” mantra is doing the Moto M a great service, and we really like how this one looks. It's also worth noting that the Moto M is a splash-resistant device, which means that it will survive small splashes of water or a drizzle. Don't dunk it into the pool, though, as it's unlikely to survive the ordeal. At the bottom of the device, one would find a reversible USB Type-C port – great! Immediately to the right of it we find a single loudspeaker. 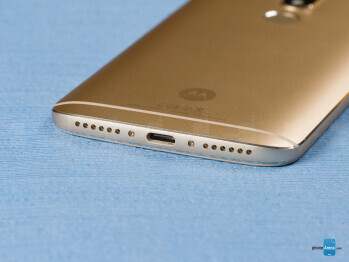 If you're looking for the 3.5mm audio jack, rest assured there is one, it's just at the top of the phone. Finally, the volume rocker and the power button provide very good clicky feedback; the textured pattern on the the power button provides a grippy feeling, which is something we like. All things considered, it wouldn't be too far-fetched to say that the Moto M is built and feels like a more expensive phone. Credit where it's due – no corners have been cut in terms of the handset's design. The Moto M brings along a 5.5-inch IPS LCD display with the acceptable resolution of 1080 by 1920 pixels. Though we've seen sharper, the display will be more than adequate for 9 out of 10 users. However, there's much more to phone displays than resolution alone. Chief among those other properties is color temperature, and the Moto M is not as accurate as we'd like it to be. For starters, the display is 'cold' – it clocks in at 8452K, which is way higher than the standard 6500K color temperature. This makes white colors way bluer than they should be. A common flaw for many affordable devices, but a flaw indeed. 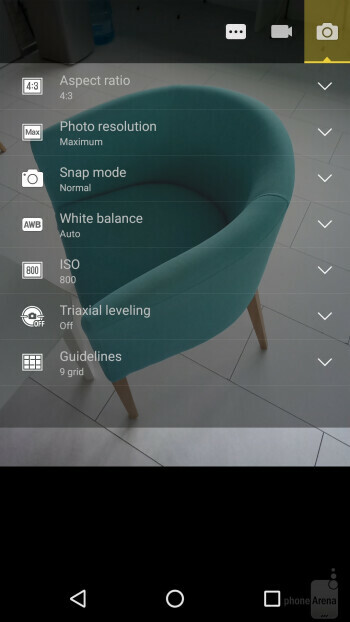 There are two display settings – Standard and Vibrant. Even in the standard one, the Moto M's display has the tendency to oversaturate green, yellow, and red colors, though not excessively so. Switch to Vibrant, however, and all colors become overly vivid and totally inaccurate. Needless to say, we are not fans of that, so we kept the display in its standard mode. The display's gamma is mostly correct, which means that contrast representation is accurate. Maximum and minimum brightness levels are both acceptable - you will have no problems with outdoor visibility or using the phone before bedtime. 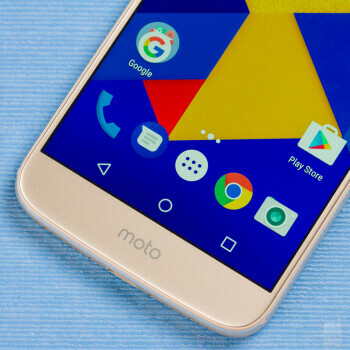 There are no navigation buttons at the front, only a Moto logo at the bottom will be reminding you what phone you're handling. In the meantime, the back of the phone doesn't even feature the signature Moto dimple – there's a circular fingerprint scanner at the rear instead. The “less is more” mantra is doing the Moto M a great service, and we really like how this one looks. 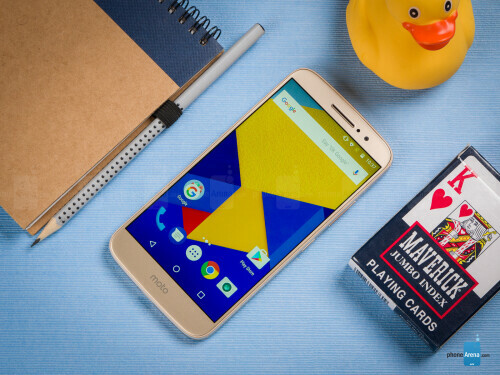 The Moto M comes with what can be best described as a nearly stock Android. It's essentially the same interface that you would have found on Marshmallow-running Google Nexus devices. The majority of apps that come preinstalled on the phone are the stock Google ones. 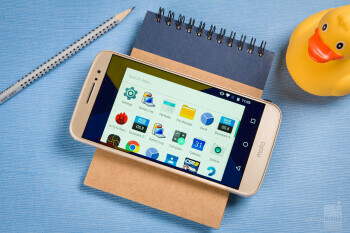 There are just a few custom Moto apps on board, like the useful File Manager and Device Help. The latter is a system monitor that also doubles as an interactive manual for all the phone's functions, which we find neat and useful. As you'd expect, the almost vanilla Android interface feels as snappy as it gets. That stands pretty high in our book, though we can easily see why some users might quickly brand this one as rather boring. 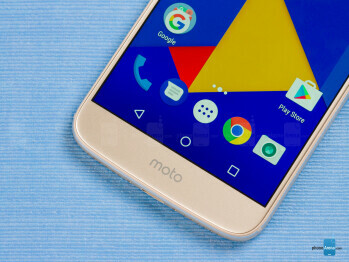 So far, so good, but we find it a bit perplexing that the newer Nougat has not made the cut given that Moto's interface is as bare-bones Android as it gets. It will be nice if the Moto M gets updated to Nougat as soon as possible. Meanwhile, the fingerprint scanner at the back of the device is fast and accurate. Sadly, you can't use it as a shortcut for different phone functions, which is something that other devices offer. Inside the Moto M, one can find an octa-core MediaTek Helio P15 chipset clocked at 2.2GHz and aided by some 4GB of RAM. However, certain versions of the Moto M are powered by a 2.0GHz octa-core MediaTek Helio P10 chipset, which is slightly less powerful. But enough technicalities. 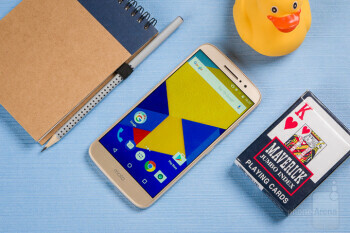 What you need to know about the Moto M is that it's a humble performer when it comes to anything more intensive than basic tasks. Don't get us wrong, it's no slouch, but if you're an avid power user you'll definitely have to readjust your usage habits a bit. Gamers will often notice choppy framerates while playing more graphics-intensive games, while the phone itself will get noticeably warm. Simpler games are a better fit for the Moto M's hardware setup. 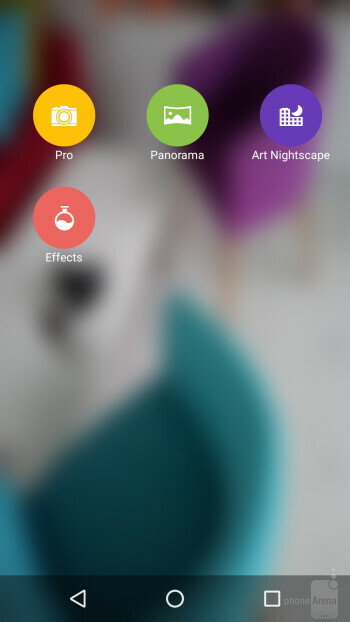 Fortunately, the lightweight Android interface is snappy in day-to-day use. As far as storage goes, the basic version of the Moto M comes with 32GB natively, but you can also get it with 64 gigabytes if that floats your boat. Fret not, data hoarders, there's also a microSD card slot available. In terms of connectivity, the Moto M lets you hook up to a compatible 4G LTE cellular network in Europe, India, and China — it supports LTE FDD bands 1, 3, 5, 7, 8, 20 as well as TDD LTE bands 38, 40, and 41. Unfortunately, no US LTE bands are supported, which means that you will be limited to 3G connectivity if you import that one. It's worth noting that there are two SIM cards slots available, with one of these accepting compliant microSD cards. There's also Bluetooth 4.1, dual-band Wi-Fi 802.11 a, b, g, n, ac, as well as GPS, A-GPS, Glonass, and BeiDou positioning support. You will be relying on a USB Type-C cable for charging and pairing your phone with a computer. 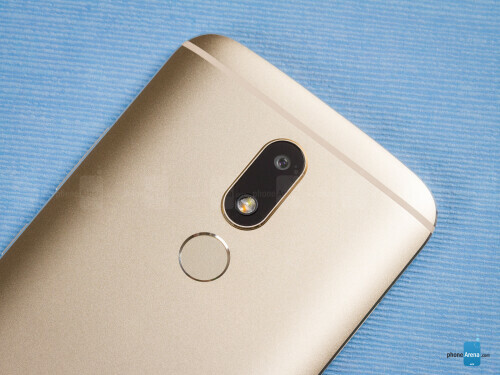 The 16MP shooter at the back of the Moto M is acceptable for a device in that price range. The camera app is not Google's stock one, but a custom Moto endeavor with an interface that is mostly intuitive. 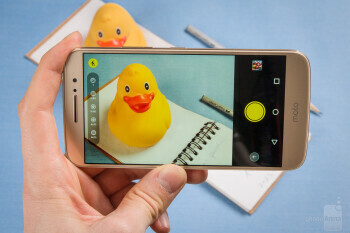 There are just enough modes and features: users can dabble with manual controls, various Instagram-inspired filters, and certain specific shooting modes. It's worth noting that the phone has an HDR feature, but you have to manually enable and disable it, which is not exactly intuitive. As far as image quality goes, the Moto M is an average performer. If you keep your hands steady and the lighting is favorable, pictures will have a decent amount of detail. However, if any of those prerequisites are not met, it's almost a given that fine details will turn out rather fuzzy, smudged, or even non-existent. This is especially true when one shoots in dim lighting. The 8MP front-facing camera is not half-bad. Regular selfies are not as detailed as we'd like them to be, but they fit the bill just fine. There's a well-hidden “Ultra HD” mode for the front camera that in theory should deliver more detailed selfies, but we did not notice any improvement. A beautification feature is built-in, which will smoothen your skin and do away with any unsightly blemishes you might have. Panoramas are usually stitched correctly, though their quality is unimpressive – they are rarely larger than 5MP and are lacking in terms of details. The phone shoots 1080p Full HD videos at 30fps, and the quality of these is most acceptable. The camera focuses and readjusts the exposure relatively quickly. The lack of image stabilization is apparent and normally leads to jittery results if you don't employ a steady hand while shooting videos. There's a single bottom-firing loudspeaker on the Moto M, and this one is sufficiently loud and produces deep, rich sounds. You can also connect your regular headphones as the phone has a 3.5mm audio jack on board, positioned at the top frame. Oh, and we are pleased to find an FM radio on the phone, which is a feature that few contemporary devices have. We have zero qualms with the call quality of the Moto M. While audio quality during calls is not stellar, it's perfectly acceptable on both ends of the line. The 3,050mAh battery of the Moto M will easily last you a day of regular usage. Push it harder and you will probably have to juice it up a bit at some point throughout the day. The phone lasted for 7 hours and 8 minutes in our custom battery test, which involves setting the phone's brightness to 200 nits and running a custom script that emulates real-life usage. 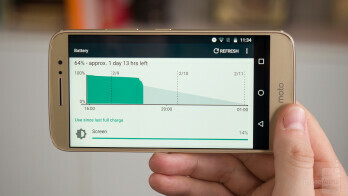 That's a very good result for a phone with such a battery, though we've seen better. Yet, there's also the problem with availability. It's only officially sold in India, China, as well as in a few Middle-Eastern and European markets. Oh, and we also need to address the Moto M's somewhat noncompetitive pricing. The basic 32GB version starts at the equivalent of ~$239 in India, whereas the 64GB is priced at ~$268. 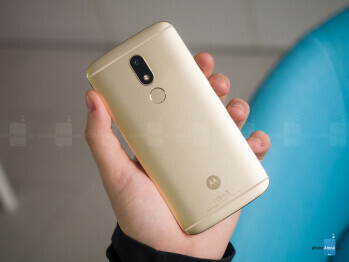 Don't get us wrong, it's still an affordable buy, but there are similarly-priced or even cheaper smartphones that will give the Moto M a run for its money. If you're in the market for a similar device that's available in the US, you might want to look into the excellent Moto G4, which normally goes for $199.99. 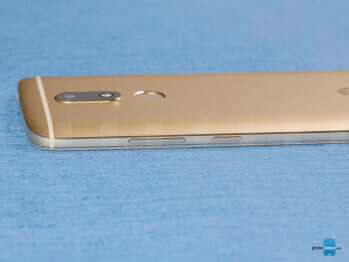 It works with all major US carriers, has mostly similar performance and features, but is lacking a fingerprint scanner. 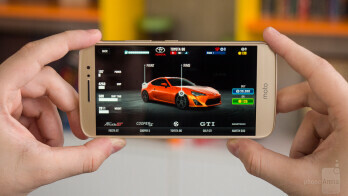 For just $50 more, you can equip yourself with a $249 Honor 6X, which has a fingerprint scanner, dual-camera, and slightly better performance than the Moto M. It's also available in the States and supports all major US LTE bands. Both of these devices will give you more bounce for the ounce. Availability issues aside, the Moto M could have been a great budget device if the pricing was toned down a bit. Probably next time, eh, Moto?